Undra Brown- creator and founder of OLE, has created a language exchange business in Lansing providing language teachers for individuals to learn different languages. Brown who is a Lansing Native is a young business owner and entrepreneur who is already gaining media attention and awards for his entrepreneurial journey. 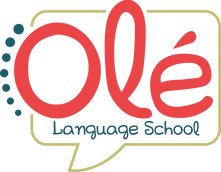 OLE stands for Organized Language Exchange and we are a business that provides language teachers. The majority of our teachers are native speakers in the target language. We teach all people a new language with nexus learning – which means they make connections to the real world by creative and physical activities. When working with children we use a more specified approach called Play Based Learning. With OLE no matter adult or child there is no need for rote memorization. How long has OLE been in business? OLE is a new start up in Lansing and we have been in business for about two months. How did you discover your talent? Where did it start? I’ve always had a passion for communicating with people. I discovered my talent of learning languages when I was about 10 years old and it all started in my bedroom. I used books, YouTube and the friends I had. I had a dream of eliminating the language barrier between me and many of those around me. approaches. Nexus learning naturally allows one to remember a language and makes them want to continue learning. As of now my workspace is my room. I have a many notebooks full of notes and ideas. My work space is pretty cluttered with different types of flyer designs and things to add on to our website. I’m currently working on getting space for our classes to take place but as of now our teachers are going in home to work with students. What do you love most about OLE? The thing I love most about OLE is that we are a resource for people – especially children – that allow them to learn another language. I got my inspiration from my own passion of learning languages. I created OLE because when I was a kid I didn’t have someone to teach me Spanish or Arabic so I self-taught – which was very difficult. I wished that my parents were able to find teachers for me and they couldn’t. I know that there are many ambitious kids like me and I wanted to provide them and their families the resources to learn mainstream and non-mainstream languages with native speaking teachers. My own struggles with breaking down language barriers inspired me to create OLE. I also got inspired because Lansing doesn’t have any business that provides the same services as OLE. Now that OLE is finally open ambitious people that want to be polyglots now can become one. Does OLE have a mission statement? Missions Statement: Organized Language Exchange’s (OLÉ) mission is to promote multilingualism by changing the way future generations learn a new language and experience new cultures. OLE’s clients are mainly children that want to learn a second or even a third language. However, we do work with some Sparrow employees teaching them to communicate with those in a hospital setting. I have many people that have supported me with my development of OLE. They’ve inspired me by giving me support and enrolling their children in our language courses. Have you been featured in the media or in articles? Have you been awarded any awards? Earlier this year I received an award from the Lansing Black Chamber of Commerce for my entrepreneurial efforts. The Lansing School District recognized myself and a good friend of mine for winning the award and due to that we both were interviewed by News 10. They did a special on the both of us because we are Lansing high school students that have started our own business from scratch. We started the businesses with the help of the Michigan Chamber Foundation. As of now I do not do any marketing because I don’t have enough funding. We are currently gaining clients from word of mouth. What resources have you used in Lansing to get OLE going? All the resources that have helped me get OLE up and running are from the Greater Lansing Area. I used a local attorneys, marketing personnel, website and logo designers and most importantly local entrepreneurs. Who is helping to fund OLE? How are people aware of your business? For the most part I am self-funding OLE, however, I did get a small investment from the Michigan Chamber Foundation. Right now OLE does not have any upcoming events or shows but we are offering a summer discount of 20% off private lessons. What do you like to do in Lansing when not working in OLE? When I’m not working on OLE or going to school, I love to ride bikes on the Riverwalk, go to Lugnut games, volunteer with Lansing Parks & Rec. When I’m not working on my business, I’m content as long as I’m doing something within the Lansing community. Ashlee R. Willis is the founder and creator of Lansing Mosaic. Ashlee Willis created the Lansing Mosaic to help highlight more small businesses and entrepreneurs in the Lansing area through articles and video content. She currently resides on the Executive Board of some of Lansing’s well known Organizations, Public speaker, Teacher and Entrepreneur. Ashlee enjoys her family, the beach and coffee!